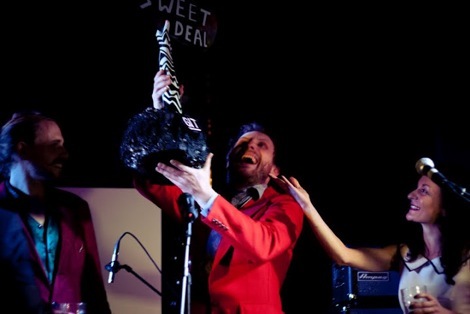 The Tea Street Band brought the good times to the GIT Award 2012 – they left with an army of new fans. 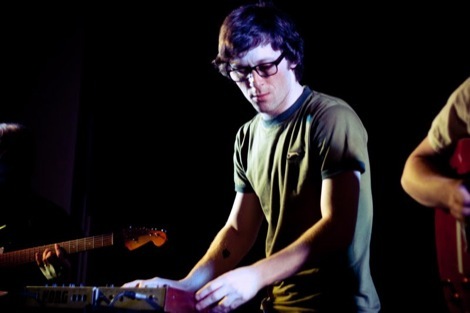 Timo Tierney talks new album and new phuture to Getintothis after their triumphant offering. It was quite a night last Friday at Leaf. And five lads certainly made their distinct mark on the inaugural GIT Award 2012. The Tea Street Band may not have been a name on many people’s must-see list prior to the Award show – but they left an impression which ensured they’re now very much on any music-lover’s radar. 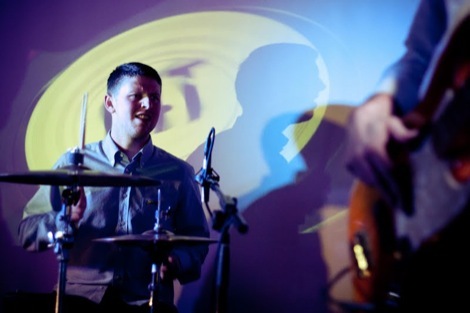 The mesmeric radiant escapism of new single Fiesta was many people’s highlights on a night of first-rate music – and coupled with the evident boundless enthusiasm on stage – ensured that joy was transported into the sea of people watching. 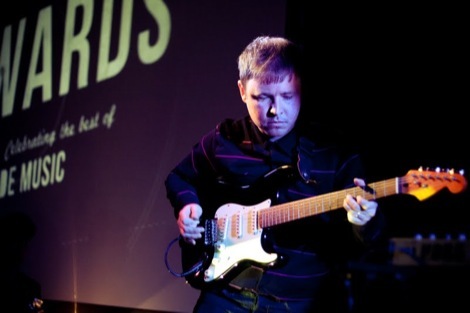 Getintothis caught up with guitarist Timo Tierney after the GIT Award. 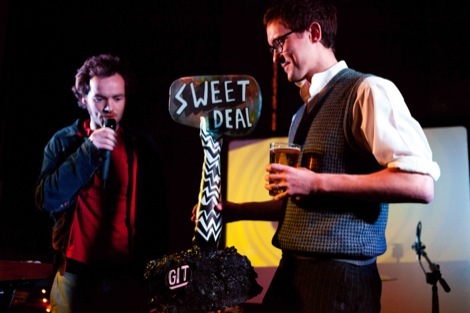 Getintothis: What did you make of the GIT Award 2012? Timo Tierney: ‘I thought it was organised brilliantly. For something that vast it ran really smoothly. 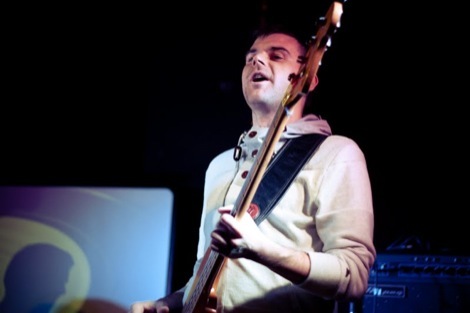 Tea Street Bands’ Dom at the GIT AWARD 2012. Timo Tierney: ‘I think it passed the message out that with the right organisation and belief anything you want can be achieved in a small amount of time. 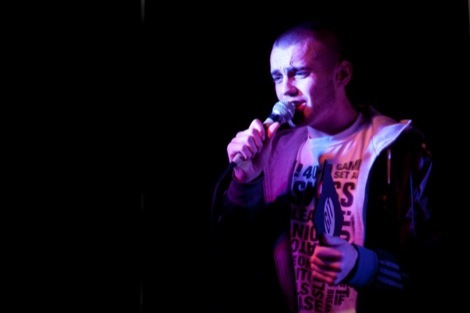 It also sent out the message that there are plenty of great Liverpool based bands or acts with lots to say. Timo Tierney: ‘Seeing everyone going off their heads to our music. ‘Giving us the belief that we don’t need to look or act a certain way to come across correctly. 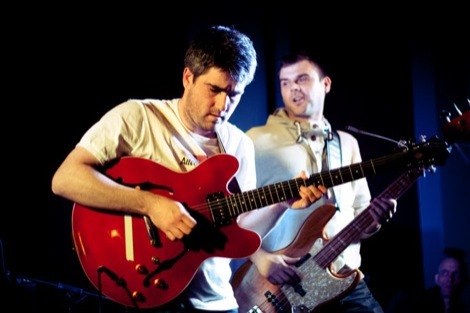 Timo Tierney: ‘We are focussed on recording an album. We have a massive gig at Sound City on May 19. ‘Its going to be insane. We are gathering the right momentum and the right team are in place. Dave Pichilingi is guiding the ship in the right direction. Meanwhile, listen to the TSB’s ‘sixth member’ Gary Cook‘s remix DJ set from their recent Phuture Sounds rave, below. For a full interview with the Tea Street Band read here.